Magnesium chloride hexahydrate, which comes to us in the form of magnesium flake, oil and gel, is not the only salt which is known for its high level of magnesium. 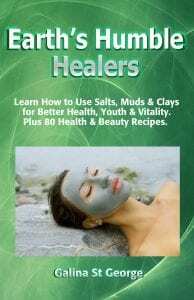 Even before we found out about its wonderful therapeutic effects on the body and mind, we had its great alternatives to turn to – magnesium sulphate (Epsom salt), and Dead Sea salt, as well as Dead Sea mud. While Epsom salt has become known for its relaxing, pain and stress-reducing properties relatively recently, Dead Sea has been used by people and animals for thousands of years. It is possibly the most popular resort destination even now. People from all over the world come to the Dead Sea to treat skin problems such as eczema, psoriasis, dermatitis, musculoskeletal, nervous disorders, with inflammatory conditions such as rheumatoid arthritis among them. A high level of magnesium in Dead Sea water is being used to treat circulatory problems, heart disease, abnormal blood pressure, anxiety, depression, fertility issues, and countless other conditions. Even though the magic of the sea and the sun combined have an unsurpassed effect on the body and mind, luckily, we do not need to go to sometimes unaffordable to many Dead Sea resorts to alleviate our problems. 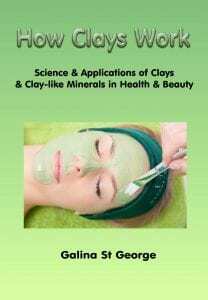 Dead Sea products are easily available to all, and we can use them any time we need in in a bath, body wrap, compress, foot bath, or – as is the case with the mud – in a local mud application to affected areas, face mask, and yes – body wrap. To make a relaxing and therapeutic bath with Dead Sea salt, use 500g-1kg of salt (depending on how intense you want your experience to be) in a warm to very warm water. Add some lavender oil to enhance its relaxing effect – 5-10 drops per bath. if your skin is quite dry, add some sweet almond or olive oil to the bath – 2 tablespoonfuls would be sufficient. Shake the water well. Not only will it nourish the skin, but it will also help condition the hair. To achieve a long-term therapeutic effect, it is important to have such baths regularly, at least once a week, with 2-3 times a week being the best option. For a foot bath, use 200g of Dead Sea salt, adding some rosemary and peppermint to it if your feet are aching after a busy day. The water temperature should be adjusted to your needs. I prefer it cool after a hot day, and warm on a cold evening, with peppermint replaced for a warming and circulation-stimulating eucalyptus oil. For a body wrap – use a 10% salt solution. It is easier with the mud since Dead Sea mud is a ready-to-use product, so just needs warming up and applied on the body and the face. However, even with mud, there are a lot of suggestions and options to try. One of my suggestions is – make a purifying and revitalising Dead Sea Scrub. Use fine Dead Sea salt and mud, in equal proportion, either as is or with some of your favourite essential oils. Add some extra-virgin olive oil or sweet almond oil. Mix well and apply on the body in circular movements. Scrub the body well. Wash off. The same scrub can be used as a face exfoliator. Make sure that the body and face are free from any infections and eruptions before using any scrubs. 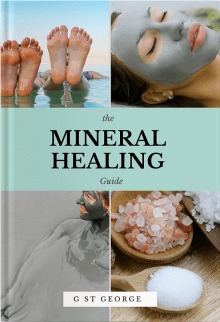 A mix of Dead Sea Mud and Salt, without the essential oil and vegetable oil, can be used in body wraps. The addition of the salt to the mud will intensify the effect of the healing effect of both. Extra salt will also act as a circulation-booster and will promote sweating – a great start to weight loss programs. The use of the mud is not recommended for pregnant women, and people with tumours, heart disease and abnormal blood pressure. This is due to the high saturation of the mud with biologically active substances which while being exceptionally beneficial for a healthy person, can over-stimulate a vulnerable one – an undesirable effect in the cases I have mentioned earlier. Limit yourself to the use of the salt then. For chronically blocked sinuses, use a 1% solution of Dead Sea salt and water, 2-3 times a day, to flush the sinuses. For a sore throat and gums, the concentration can be increased – use 1 tbsp (20g) per 200g of warm water. This makes a 10% solution. Rinse the mouth and throat as many times as necessary. The same procedures as with Dead Sea salt can be used with Epsom salt. Epsom salt is also a great product for detoxification procedures – internally and transdermally. This is due not only to its high level of magnesium but of sulphur, which is part of the sulphate compound. Sulphur is an essential building block for our body – proteins simply cannot be created without sulphur, so the body uses a lot of it. Sulphur is also a vital component in detoxification processes, binding phenols and other harmful substances, and this property is being used in detoxification procedures with Epsom salt. It has been researched that Epsom salt has shown to have a profound therapeutic effect on children with such neurological conditions as ADHD and autism. Such research has shown that these children’s bodies are low in sulphate – on average 15% lower than normal, and high levels of toxins – heavy metals, phenols, food colourings and artificial flavourings, etc. So the obvious solution would be to raise the levels of sulphur and magnesium in the body and reduce the number of toxins. Epsom salt has the ability to do both, by supplementing the body both with magnesium and sulphur, to promote the removal of toxins and top up magnesium levels, which have been proved to be very low in children with ADHD and autism. 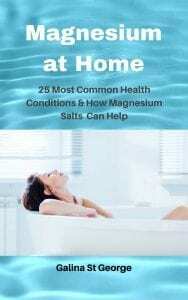 For the same reasons, Epsom salt would be beneficial to adults who suspect that they are suffering from toxic overload and low levels of magnesium. The best way to use Epsom salt is by having a bath with it. Use 500g of it per bath, 2-3 times a week, for a profound therapeutic effect. » Magnesium Deficiency in Children. ADHD & Chidhood Depression.